Q: VIRTUAL DJ SOFTWARE - Can't import most APPLE music songs! When I try to drag and drop songs from Apple Music (ITunes) to play in VDJ the songs come up with a little red icon on the song as it hovers over either of the queue spots in VDJ. When I drop the song, it just doesn't appear in VDJ. Playing the right songs and mixing them together in a cohesive fashion is the most important thing for a DJ. Having more options than a simple media player like iTunes, Virtual DJ is the application that DJs use. It lets you string your songs, by playing two or more tracks at the same time, adjust their relative speed so that their tempo will match, apply effects like loops and crossfade from one side to the other. It also lets you scratch your songs, set and recall cues, and all the other regular features DJs expect to find to be able to mix. As one of the most powerful music streaming services, Apple Music always brings the latest record releases. So more and more DJs would like to import Apple Music tracks to Virtual DJ. But to their disappointed, Apple Music is not working properly on the Virtual DJ program. Talking about the reason why we can't import songs from Apple Music to Virtual DJ, we must first make clear what kind of audio formats Virtual DJ support. It compatibles with the following audio formats: MP3, WMA, OGG, ACC, WAV and so on, while Apple Music is streamed at 256Kbps in AAC (Advanced Audio Coding) format. Besides, Apple Music songs are encrypted by Digital Rights Management (DRM) technology, which prevents Apple Music subscribers from adding them to other programs except Apple Music app or iTunes. Therefore, if you'd like to transfer Apple Music tracks to Virtual DJ, you should find a solution to convert these songs to Virtual DJ supported formats. There are a number of programs can be used to solve the problem for you. 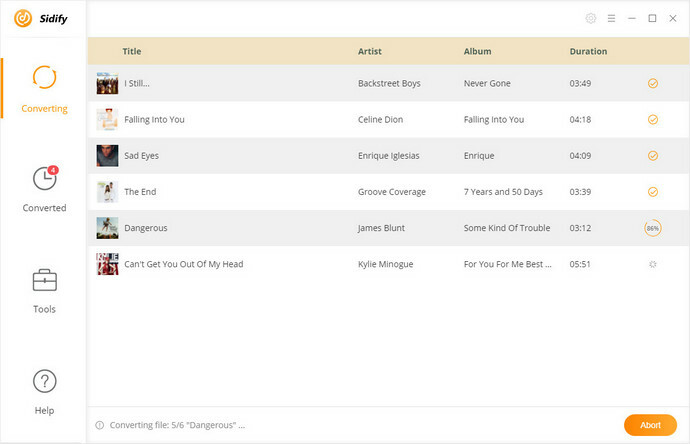 Among them, Sidify Apple Music Converter is the best of its kind because its function, reliability and practicality. It is an all-in-one program that provides the ability of removing DRM protection from Apple Music and converting them to MP3, AAC, WAV and FLAC with original sound quality kept. What's more, it can also help you convert DRM-ed iTunes purchased songs, iTunes M4A/M4B and Audible AA/AAX audiobooks to plain MP3/AAC/FLAC/WAV at up to 10X faster speed. With this program, you can keep the Apple Music songs and build your own music collections locally, and manipulate Apple Music songs on Virtual DJ freely. 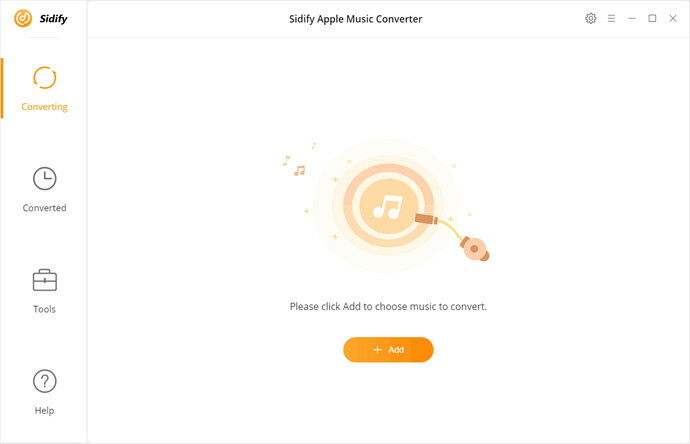 Now, you can download the latest version of Sidify Apple Music Converter on your computer and follow the detailed tutorial to convert protected Apple Music to MP3 files for Virtual DJ software. 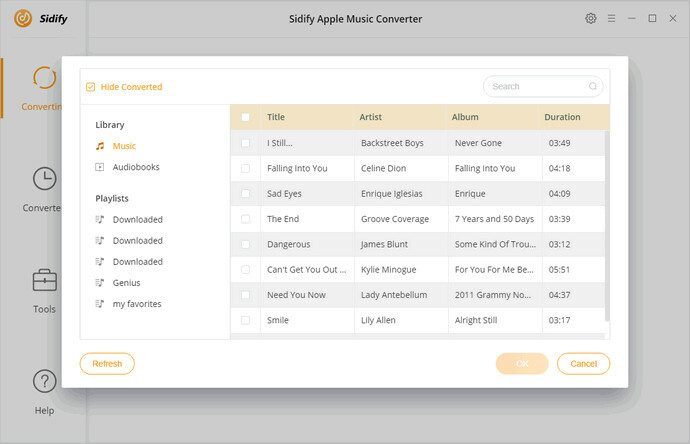 Download and install Sidify Apple Music Converter by clicking Download button above, then launch it on your computer. This program can work on both Mac and Windows perfectly. Here we will take Windows version as an example. 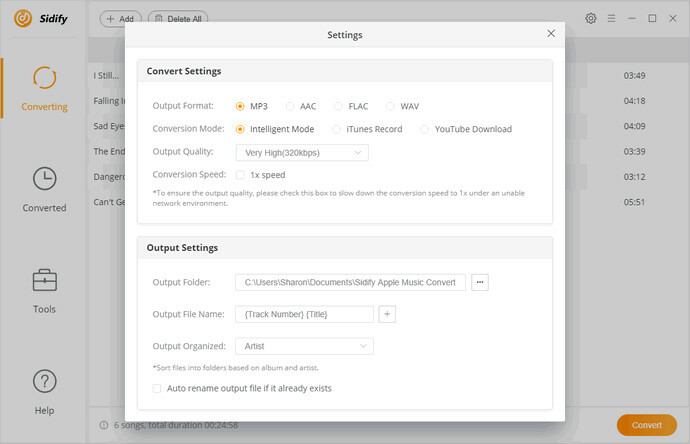 Firstly, download Apple Music that you want to upload on your computer, then switch to Sidify Apple Music Converter to import the downloaded Apple Music by clicking "+" button. You can select one or more tracks from the pop-up window, then hit OK.
Click Settings gear icon on the top right of the Sidify, and it will pop up the iTunes library window, you can select MP3, AAC, WAV and FLAC as output format. Besides, you can also set Output Quality and Output Folder based on your requirement. 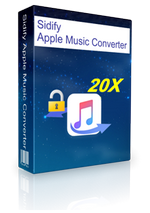 Click Convert button to start Apple Music to MP3 conversion process. Once the conversion is finished, you can find the converted DRM-free Apple Music songs on the history folder. Now you can add the converted Apple Music files to your Virtual DJ database to Mix. 1. Open Virtual DJ on your computer. 2. To import the converted Apple Music songs to Virtual DJ, use the search bar (Finder for Mac, My Computer for Windows) to navigate to your music library and select the folders you want to use. You can also directly to drag the audio files to the interface to mix. In addition, you can import those Apple Music songs to iTunes. Because Virtual DJ will read the iTunes Library on every launch and will display all of your iTunes Playlists in the dedicated Root element of the Folder list. Now you can add your Apple Music songs to Virtual DJ software successfully.